This joint is definitely considered a true hip hop masterpiece and a classic among real fans. JAY Z was one of, if not the first independent artist to press up his own album and sell it himself without help from any major label. It was this album that truly set the bar for all the hustlers and D-Boys to step their game up. Lyrically JAY was ahead of his time. I listen to this album to this day and still catch new things that I hadn't caught onto before. 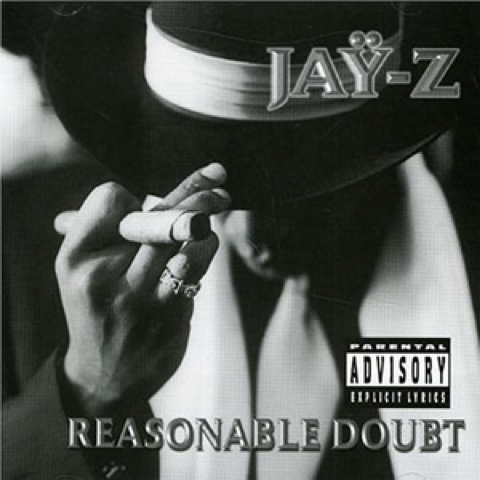 Reasonable Doubt is up there with albums like illmatic, Ready To Die and Enter the 36 Chambers. These are all hip hop classics in my opinion. Still to this day JAY Z continues to create trends and keep his name among the elite with his music and own personal style. But to me the music is what really made him who he is. I could go on and on about the accomplishments and the many hit records that came afterwards but this is something we already know of from this man. What truly got JAY where he is today is this one solid joint that let other rappers know who he is and what he represented. I think all aspiring independent hip hop artists should definitely take a page out of this mans book when it comes to hustling and making true hit records. 20 years later the man's still on top.